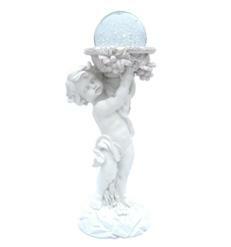 This superb enchanting boy statue with ball solar light captures the innocence of child in a bright and charming way. Decorative and expressive designed with a authentic life like look but is crafted from durable, weather-resistant plastic. 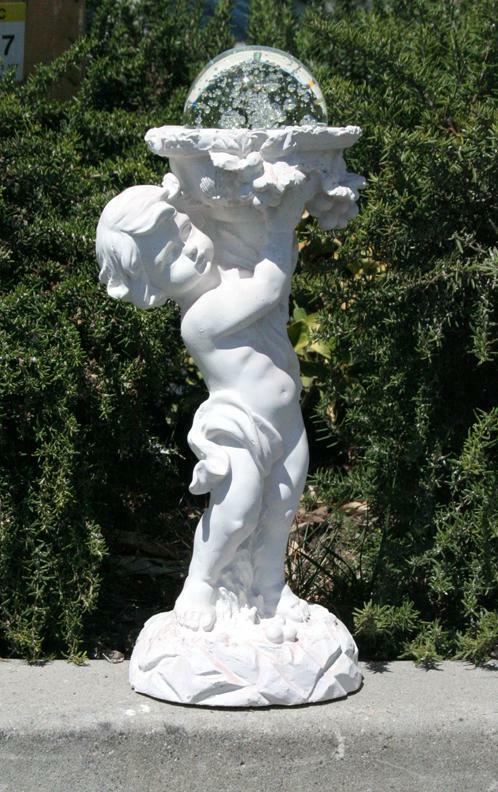 The solar ball is equipped with a white LED that will light up under the ball creating a soft glow and a delight to your garden. A complete charge will provide hours of illumination as a sensor automatically turns on the light at dusk and off at dawn.